Ep. 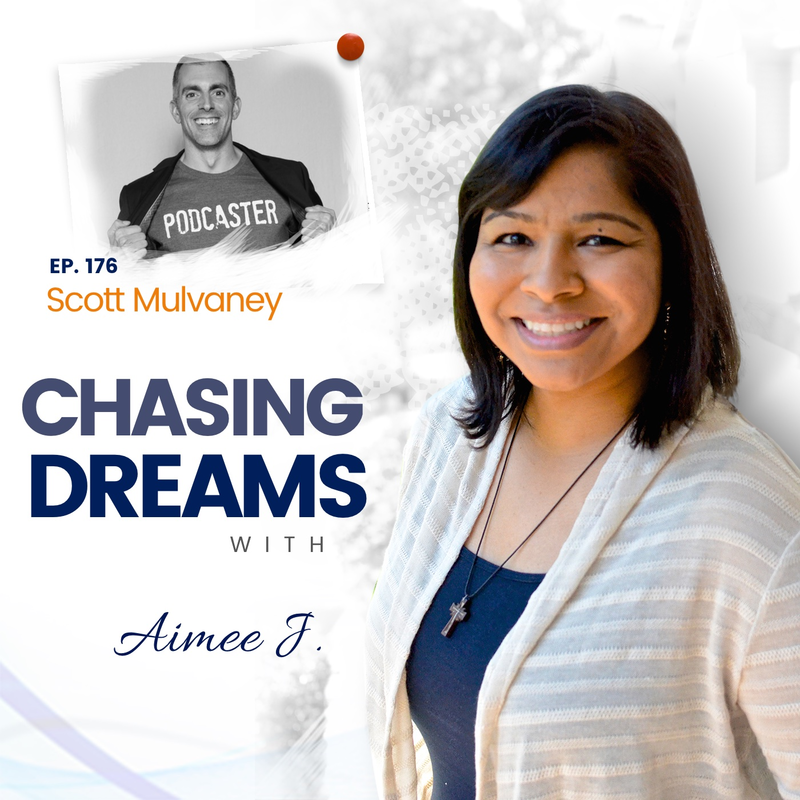 176: Scott Mulvaney – FUEL Your Passions | Aimee J. How do you show up in your life? Are you living your best life every day? Today’s show is full of inspiration to help you leave the mundane behind and push yourself to never again accept mediocrity as your normal. Scott Mulvaney channels his health-nut, adrenaline-junkie energy into everything he influences. That same energy comes through on his LIVETHEFUEL podcast, which helps fuel your health, business, and lifestyle. Scott focuses on sales and marketing growth, brand strategy, coaching, and consulting solutions to help you control how you exist online. There are very few people as passionate as Scott about living his best life every day. Can you look back at specific circumstances in your life and see the lessons learned? For Scott, the life lessons are everywhere as he contemplates his life journey. He was raised in a farm family in NJ that relocated later to PA, where Scott’s family still lives and works in farming today. Scott, however, wanted something different. He never thought he would go to college because school was never easy or comfortable, but then he discovered vocational tech school. He interned at an electronics lab at 17 years old and then learned a tough lesson when he was let go from the lab he built so an adult could be hired to run the lab. Scott went on to achieve college degrees in marketing AND psychology, but then something changed. He met a girl from the west coast who aspired to be a Hotshot firefighter. He thought that sounded like an interesting challenge, and said to himself, “What if this is the next phase of my dream?” The training and the concept blew his mind, so in 2010, he went out west and proved himself for two years. Since the Hotshot “season” was only a few months of the year, he spent the other months traveling and making some crazy connections with all kinds of people. If you’ve ever contemplated doing a podcast, you’ve probably toyed with what you would name your show. Scott had listened to a lot of podcasts as he was busy helping a friend grow her company, but he knew there was something more he was meant to do. For inspiration, he covered a wall with Post-It notes of every keyword that meant something to him. He took the mantra, “Live life to the fullest” and altered it to “Live the fired-up epic life”—–and the acronym FUEL was born. Now, Scott is busy writing a book, for which he plans to donate his proceeds to the families of fallen firefighters. **For a bonus behind-the-scenes conversation with Scott, visit http://ww.aimeej21/patreon and become a Patreon Donor. [11:25] Scott’s college journey–any regrets? 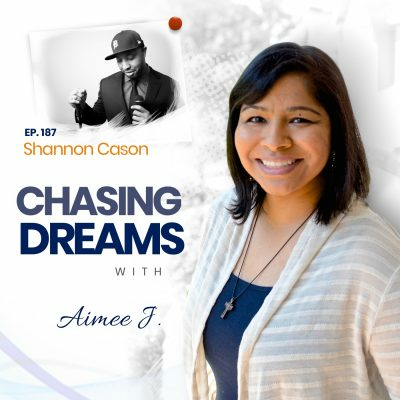 I had a blast with Aimee on this awesome podcast show. 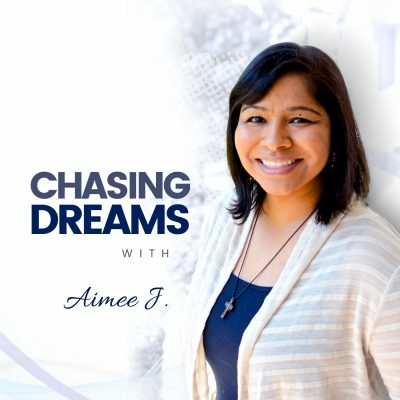 She’s a true professional and I love the Chasing Dreams theme!